The Blue Ocean Entrepreneurship Competition is the largest entrepreneurship competition in the United States funded by and supported by high school students. Every year, teams pitch their innovative business concepts to experienced entrepreneurs and businesspeople, receive feedback on their ideas, join a community of like-minded students, and compete for thousands in cash prizes! Pitches should be 3 to 5 minutes in length. If you are unsure about how to pitch or what to pitch, see the Content page on this site on how to do a pitch and also how the scoring will be done. All pitches should be submitted by January 18, 2019. Judges will begin evaluating pitches in January. We will pick the top 50 submissions by February 18, the top 10 submissions by March 1 and announce the winners on March 15. We will notify all entrants on the status of their pitches as judging is completed. Video submission for this contest will be accepted beginning on Monday October 15, 2018. There is a submissions tab at the top of this website at that time. We will also announce a People’s Choice Award ($750) winner on March 15. All pitches submitted ill be uploaded to our youtube channel "Blue Ocean Competition". To win, simply receive the most “likes” on that channel. Direct your friends and relatives to this page once submitted. To learn how the scoring will be done by the competition judges, please visit the Content Page of this website and see the "Rubric" section. Last year, we hosted our first national competition, boasting teams from 18 states and more than 80 high schools in the United States! This year, we are taking competition to the next level by strengthening our presence around the country and streamlining the competition process to make the program more accessible to busy students from coast to coast. 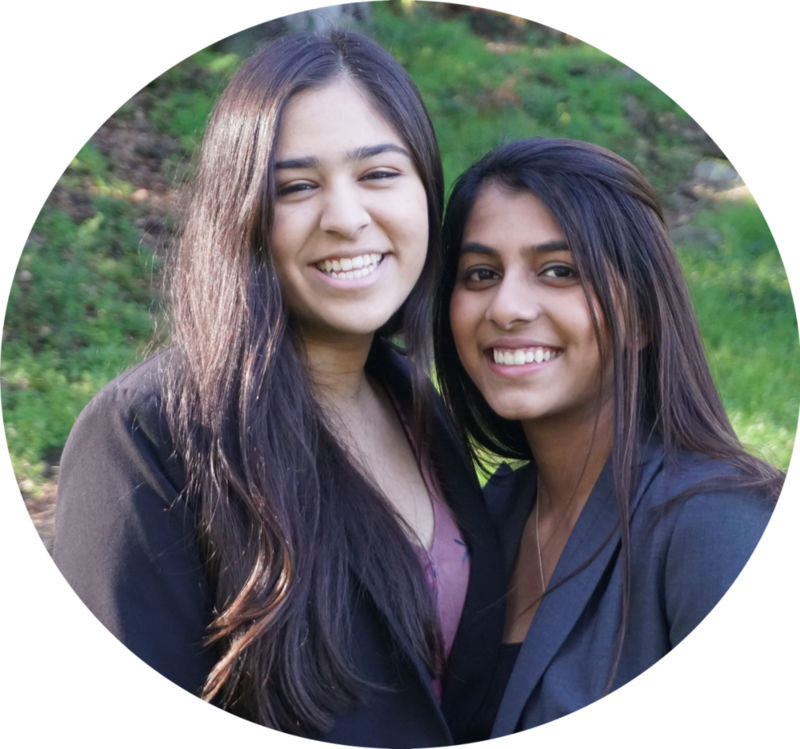 "The Blue Ocean Pitch Competition was a fantastic platform for us to not just get validation for our idea but also learn about many new innovative products and services created by other high school students like us from all over the country. Pitching our idea in 90 seconds seemed daunting initially but we learnt how to do it effectively. The competition itself was very well managed and was an incredible learning opportunity for aspiring entrepreneurs like us." Our competition is inspired by the ideas and message of the international bestseller Blue Ocean Strategy and the just released New York Times bestseller Blue Ocean Shift, co-authored by Professors W. Chan Kim and Renee Mauborgne. Blue Ocean Strategy | Shift is about creating value for consumers and eliminating competition with innovative ideas and business models. At the Blue Ocean Entrepreneurship Competition, we challenge our competitors to channel Blue Ocean thinking in their ideas and pitches. Our leadership team works closely with the Blue Ocean Global Network to ensure that competitors have great resources to learn the strategy and apply it to their own business ideas.